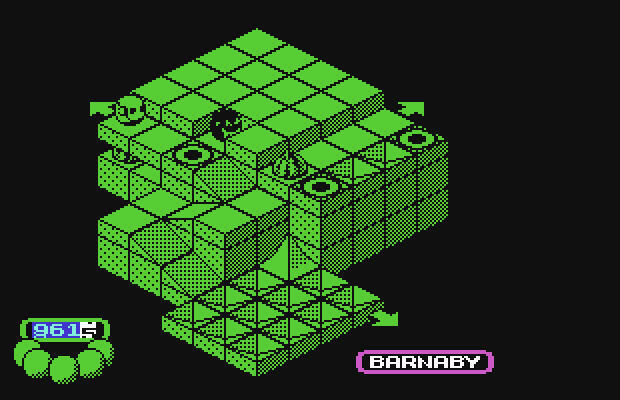 It's Bobby Bearing, an 'isometric' arcade game from 1986! Sort-of-UPDATE 3: And for anyone wondering whether the games featured in this post really do use true isometric projection, Adam Banks discusses this in a blog post. UPDATE 2: At the time of writing (10:51 GMT+1), EDGE has now been pulled—again—from the App Store, this time on a worldwide basis. We now have a fuller story on this development. During investigative conversations between Mobigame and Bobby Bearing’s creators, questions have been raised as to rights ownership, with the game’s creators claiming they own the rights, not EDGE Games; furthermore, they do not consider Bobby Bearing and Edge similar games, which, having played both, I entirely agree with. Even on a superficial basis, there’s little similarity, bar the viewpoint. Oh, how we all love you, Tim Langdell. You sit there on the IGDA (International Game Developers Association) board, and boast about your 30 years of experience in the gaming industry. And yet you seemingly spend your life suing the crap out of anyone with the audacity to use the word ‘edge’ in gaming, due to trademark ownership relating to your videogame company, EDGE Games. For this reason, Mobigame’s Edge was pulled from the App Store in May (it’s now returned), and Langdell now has his sights set on console game Edge of Twilight (no, we’re not kidding, sadly). Unfortunately, he’s also not quite done with the Edge iPhone game. On Twitter, Mobigame reported “Tim Langdell is threatening us again… is this love?”, and a report on FingerGaming notes that Mobigame’s David Papazien says Langdell’s now not only affirming his rights to the Edge trademark, but claiming Edge ripped off an ancient EDGE game, Bobby Bearing. Sorry for the italics, but this statement actually make me nearly choke on my cup of tea. 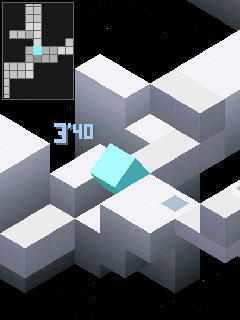 Edge - a fun iPhone isometric game from 2009! On the face of it, you might, if you hadn’t actually played the games, argue that Langdell has a point. Both games use an axonometric projection viewpoint, commonly referred to as ‘isometric’ in the games industry. Also, both have you controlling a small geometric character around a blocky, retro-oriented videogame world where you can move reasonably freely in several directions. Hey, kids! 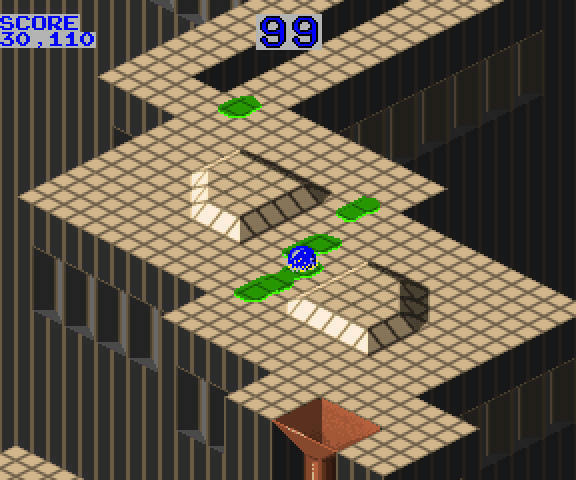 It's Atari's Marble Madness, from 1984!